You will feel like you are minutes away from the ocean breezes when you step into this desirable end unit villa in the gated community of Heritage Hills! Tastefully painted & decorated in beach colors, each room boasts a feeling of relaxation & coming home. You will find an upgraded kitchen with 42 Espresso Cabinets including pull out drawers, lovely granite counters, subway tiled back-splash, a closet pantry, a double bowl deep sink & like new s/s appliances. There are 2 bedrms & 2 baths, Flex Room & rear screen porch. This house has has been cared for & is well maintained. The spacious master suite is complete w/a walk-in closet & en-suite bath with granite counters, dual sinks & an over-sized shower. There are Bahama shutters & lovely window treatments throughout. 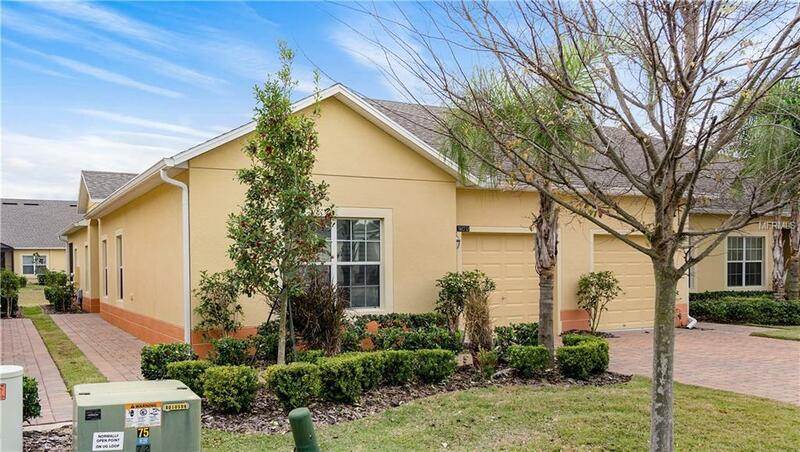 Plush carpet in all the living areas & tile in the foyer & all "wet areas + a washer/dryer & security system. The over-sized 1 car garage has custom cabinets for additional storage. The furniture/furnishings can also be purchased w/separate bill of sale. You can move in immediately & begin enjoying the many amenities afforded to you in this active 55+ community - a resort style pool, spa, tennis courts, basketball, shuffleboard, bocce ball, horseshoes, a chipping/putting green, billiards, ballroom, fitness center, library, on-site vineyard, clubs, workshops, walking-bike trails, golf simulator, on site concierge, planned outings & much more!!! Truly a delightful place for active adults! Call today for an appointment to see/show & sell! Listing provided courtesy of Keller Williams Classic Iii Re.